What a lovely attitude this longhorn steer has! 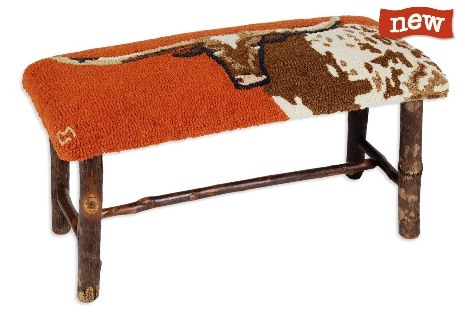 Vibrant rustic browns really bring this hickory based bench to life. A good compliment to leather furniture. 100% New Zealand hooked wool seat. Designed by Laura Megroz. Item: F4C-00760 Price: $370 ea.